Vertiv designs, builds and services critical infrastructure that enables vital applications for data centers, communication networks and commercial and industrial facilities. We support today's growing mobile and cloud computing markets with a portfolio of power, thermal and infrastructure management solutions. 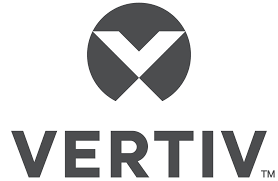 As Vertiv, we are committed as ever to empowering the vital applications of the digital world, supporting today's growing mobile, cloud and edge computing markets. With flagship brands like ASCO®, Chloride®, Liebert®, NetSure™ and Trellis™, we have a broad portfolio of power, thermal and infrastructure solutions and services to support vital applications in data centers, communication networks and commercial and industrial environments. The Liebert® GXT4 UPS meets the need for higher power capacities in small spaces. This true on-line double conversion UPS system is available in larger capacity models of 5kVA-10kVA and features integrated maintenance bypass, as well as optional extended battery runtime.